The relevant topic that I deal with continually is the private prison industry in America. People with mental health disabilities are preserved untreated until their mental conditions lead them to break some law -- from vagrancy to murder -- to excuse their incarceration. Once they are behind bars, they can be imprisoned FOREVER, because they are too sick to obey prison rules and continually get time added. This is a game that prison investors used to incarcerate 1.25 million mentally challenged Americans, and it is continuous. I am director of Assistance to the Incarcerated Mentally Ill. We plan to take the USA before International Court this year with up to 100 cases of mentally challenged people being neglected, then brutalized by police or even killed for sport behind bars, with no accountability being demanded. My mentally, physically disabled brother was kidnapped and murdered in 2003, and I became aware over time about the problems facing families in mental health crisis. 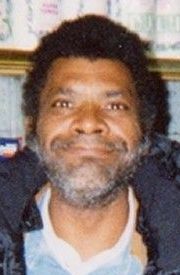 http://WrongfulDeathofLarryNeal.com/main.html. Many people are tortured and murdered. Sometimes, mentally ill prisoners are made to fight each other while corrections officers bet on the winner -- a type of human dog fighting. Sick inmates are occasionally made to fight to the death. This is horrible, and we need the international community to help rescue mentally ill Americans. Over half of this nation's prisoners are mentally ill people who were denied treatment, and over half of the police victims are, too. Freddie Gray (who police beat to death in Baltimore) was mentally challenged. So was Malissa Williams, whose car was shot 137 times in Cleveland. MOST POLICE MURDER VICTIMS ARE MENTALLY ILL PEOPLE. There is a genocide happening. We, the families of mentally ill Americans, need help, +United Nations. Censorship is used to prevent our advocacy. The private prison industry is rich and extremely cruel. I am convinced that government technology is used to prevent disclosure about individual torture and murders of mentally ill people, and that media companies have been induced to ignore certain reports. +Reason reports, "Outrage over private prisons is largely a distraction from the wider issues of the prison-industrial complex." Are For-Profit Prisons, or Public Unions, the Biggest Lobby No One’s Talking About? 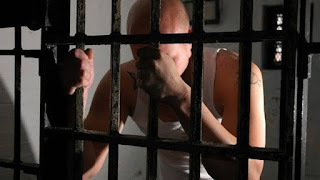 "The prison-industrial complex is big business not just for the private prison companies dabbling in it but for the governments, federal, state, and local [governments], and their employees, that use prisons as a source of revenue, jobs, and even political capital." The Post reports: "The two largest for-profit prison companies in the United States – GEO and Corrections Corporation of America – and their associates have funneled more than $10 million to candidates since 1989 and have spent nearly $25 million on lobbying efforts. Meanwhile, these private companies have seen their revenue and market share soar. They now rake in a combined $3.3billion in annual revenue and the private federal prison population more than doubled between 2000 and 2010, according to a report by the Justice Policy Institute." 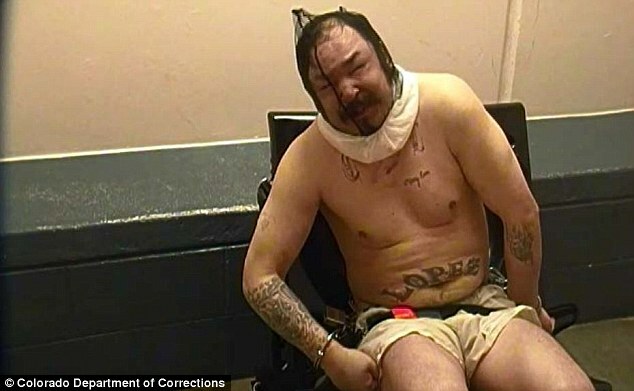 Very few media companies will explore why America's mentally challenged people comprise half of the country's estimated 2.3 million inmates rather than being treated for their chronic mental health problems like people with other medical conditions. It is wrong to use our most vulnerable citizens for prison commodities to further enrich the wealthy. Assisted outpatient treatment (AOT) programs provide subsistence assistance and mandated psychiatric treatment. AOT programs reduce future incidences of homelessness, imprisonment, and hospitalizations by over 85 percent. That is exactly why AOT programs are not instituted and funded. Our decision makers, including elected and appointed officials, are themselves allowed to indulge in conflicts of interest as prison investors. They benefit directly by mass incarceration, and the mentally ill are their easy prey. We thank the +Miami Herald for helping to shine a light on the torture and deaths that mentally ill inmates endure in Florida correctional facilities, and we urge other media companies to help expose and oppose the wrongful incarcerations, brutality, and deaths of mentally ill Americans.